Arlene de la Mora, is a research scientist with the Research Institute for Studies in Education in the School of Education at Iowa State University. Arlene serves as lead evaluator of multiple educational programs that include Iowa Dept. of Education, Statewide Voluntary Preschool Program (SWVPP), Iowa State University USDA Integrated Pest Management and a variety of other federally funded research grants. Arlene earned a Ph.D. in psychology and has worked at Iowa State University as a researcher since 2002. 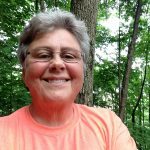 Jean Eells has led the Women Caring for the Land program as a subcontractor for Women Food and Agriculture Network for the past 10 years. She shares farmland with siblings and uses her big sister as a guinea pig for testing surveys and research into supporting women’s experiences with farming and natural resource conservation. Through her business, she has offered many trainings for people who work with women farmers and landowners. Karen Funkenbusch, director of the “Missouri AgrAbility Project” leads the project’s Farm Safety, Mechanization, and Ergonomics team. She has over twenty-five years of experience in developing, educating and evaluating non-formal and formal farm safety and health education for rural farm families and their employees. Her grant-funded projects include beginning women farmers/ranchers; farmers/ranchers with disabilities; Hispanic/Latino farmworkers; underserved, limited resources, socially disadvantaged minority farmers/ranchers; and Veteran farmers/ranchers. Funkenbusch also teaches agricultural safety and health within the Division of Food Systems and Bioengineering and serves as the State Health and Safety Specialist for Human Environmental Sciences Extension. Cori Hyde is a graduate research assistant working with the Research Institute for Studies in Education. She has been with RISE since 2015 working with the Women in Ag extension program evaluation team. Cori is a student in the Sociology department at Iowa State University where she completed a Master’s thesis focusing on the impact of agriculture education programs for women farmers. She continues to work on program impact and evaluation research for her dissertation on women’s empowerment. Susan Jaster serves as an outreach worker for the Lincoln University Cooperative Extension’s Innovative Small Farmers Outreach Program (ISFOP). The goal of ISFOP is to help Missouri farmers and ranchers, especially those from historically underserved audiences, to raise the level of efficiency on their farms while taking good care of the soil, water and the environment. Susan began a career in dairy farming in the early eighties in Arizona on a large commercial dairy. She continued dairy farming in Missouri on the 150-cow dairy that she co-owned with her husband Art and three children. During her farm career, she was also a radio broadcaster and farm news reporter for a small radio station in Southwest Missouri. Susan and her family participated in the 4-H program for many years, and she has always had a garden and cared for many species of animals. Lisa Kivirist is a Senior Fellow, Endowed Chair in Agricultural Systems for the Minnesota Institute for Sustainable Agriculture at the University of Minnesota and is the author of the award-winning book, Soil Sisters: A Toolkit for Women Farmers. She founded and directs the In Her Boots project, a woman-farmer training initiative of the Midwest Organic & Sustainable Education Service (MOSES) based on a peer-led learning model. Locally she leads Soil Sisters, a vibrant network of over 200 women farmers and food advocates in her county that produce the annual Soil Sisters weekend. A leading champion for cottage food entrepreneurs, Kivirist along with two other women farmers served as plaintiffs in the successful lawsuit against the state of Wisconsin that declared the ban on the sale of home baked goods unconstitutional. For over twenty years, she and her family have run Inn Serendipity Farm and B&B in Wisconsin, completely powered by renewable energy. Patty Neiner is Program Manager for the Pennsylvania Women’s Agricultural Network (PA-WAgN) at Penn State University. She has worked for PA-WAgN for the past 6 years and prior to that was a regional representative on the Steering Committee from its inception. Patty has also worked on USAID projects doing gender and leadership lesson plans and videos. She holds a degree in horticulture and has worked for a number of nonprofits in sustainable agriculture. She and her wife operate a 26 acre livestock operation in central PA where they raise pigs, chickens and turkeys which they sell direct to the customer via farmers markets and online buying clubs. Erin Parker serves as the Assistant Director of the Indigenous Food & Agriculture Initiative at the University of Arkansas School of Law, where she supports the Initiative th rough program development, research and writing, and analysis of regulatory issues affecting Tribal governments, businesses, and producers. The bulk of her professional work centers on the tension between the tectonic plates of food & agricultural law and federal Indian law, and as part of this work, she is part of a team of Initiative attorneys developing a Tribal Model Food & Agriculture Code. She also trains young Native beginning farmers & ranchers on food systems and risk management issues. 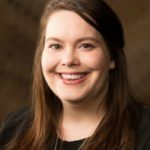 Erin hopes to increase her effectiveness as an educator for beginning farmers and ranchers through this workshop, and is happy to talk to anyone, endlessly, about pretty much anything to do with ag & food law. Mary Peabody is a the director of the grant project and leads the project’s Scale and Profitability team. She is a Community & Economic Development Specialist with UVM Extension as well as the founding Director of the Women’s Agricultural Network which was started within UVM Extension in 1994. Since 1988 she has worked in the areas of rural economic development and local leadership. Her research interests include the sustainability of rural communities, women’s entrepreneurship, and the application of information technology to community and economic development. Maud Powell has worked at Oregon State University Extension for 12 years in the Small Farms program. She’s very proud of co-founding the League of Women Farmers, a producer network that meets regularly for farm tours, classes, workshops, potlucks, skill-building sessions, and retreats. In 2016, she and her colleagues from OSU hosted the National Women in Sustainable Agriculture in Portland, OR. Additionally, she and her husband own and operate Wolf Gulch Farm, a certified organic vegetable seed farm in the Siskiyou Mountains. Jennifer “Jenny” Rhodes is Senior Agent, Extension Educator, Agriculture and Natural Resources for the University of Maryland Extension Queen Anne’s County. Jenny also owns and operates Deerfield Farms, LLC., a family poultry and irrigated grain farm with her two sons Chris and Ryan Rhodes. She has served on numerous statewide and county agricultural boards and commissions. The main focuses of Jenny’s educational programs are agriculture profitability programs, risk management, and poultry production education. Agriculture has always been an important component of her life and she enjoys working with not only the traditional agriculture sector but educating, engaging and empowering women in agriculture through methods that appeal to women. Madeline Schultz is a program manager with the Iowa State University Department of Economics, member of the ISU Extension and Outreach farm management team, and co-leader of the ISU Extension and Outreach Women in Ag program. Madeline works to develop educational programs, increase connections among women in agriculture, build the professional capacity of educators, and steward program funding in order to help women improve their lives and contribute to food security. Madeline also coordinates Iowa’s Annie’s Project courses. She was a co-leader for Annie’s Project nationally from 2008-15. Madeline began her career with ISU Extension and Outreach in 2003. She earned bachelor degrees in agribusiness and economics and a master’s degree in business administration with an interest in sustainable agriculture from Iowa State. Margaret Viebrock , professor at Washington State University, is WSU Extension Chelan & Douglas County Director where she manages a 3-county SNAP-Ed nutrition education program, teaches food safety, administers a diabetes prevention program, and provides risk management education for farm families. Margaret manages the successful Women, Farms & Food project, a woman farmer driven program. Opportunities for women in agriculture started in Washington State in 2005 with annual state conferences. Today this program uses webinar technology to reach 600+ women in 40 locations in five states simultaneously on the same day with the keynote speakers. Work sessions throughout the day at each conference location also include local speakers and producer panels. Local site facilitators are trained prior to the conference to manage the day’s events. Follow-up workshops in select locations are tailored with more-in-depth topics.